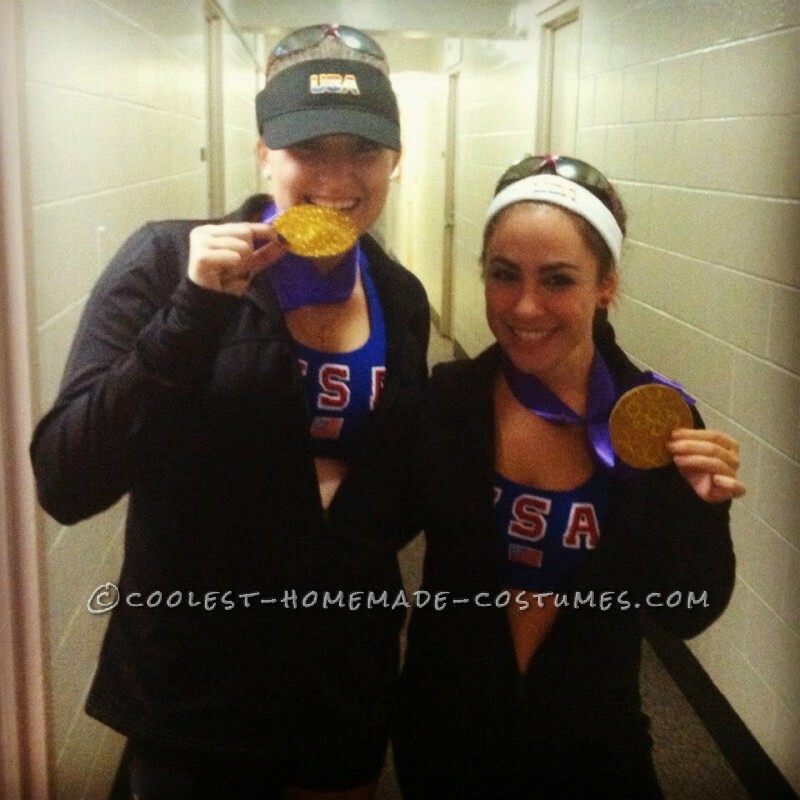 My friend and I love Misty May and Kerri Walsh and we just happened to be the perfect height and hair color to pull off the costume ! We made gold medals out of gold foam sheets and purple ribbon, and then used silver letter stickers to write out London 2012. Then we bought blue sports bras and ironed on USA and sewed on a flag. 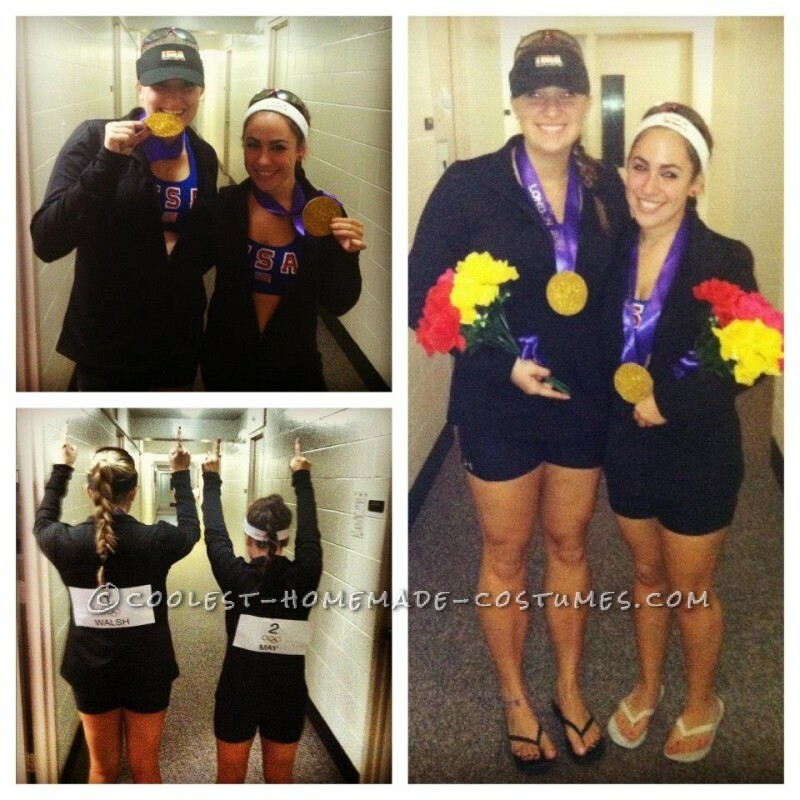 We bought black track jackets and pinned our names and numbers to the back and wore black spandex shorts. We found sunglasses at a dollar store too. Then we braided our pony tails and we were set to go out!! The bouquets were fake flowers that we tied with the same ribbon as the medals. 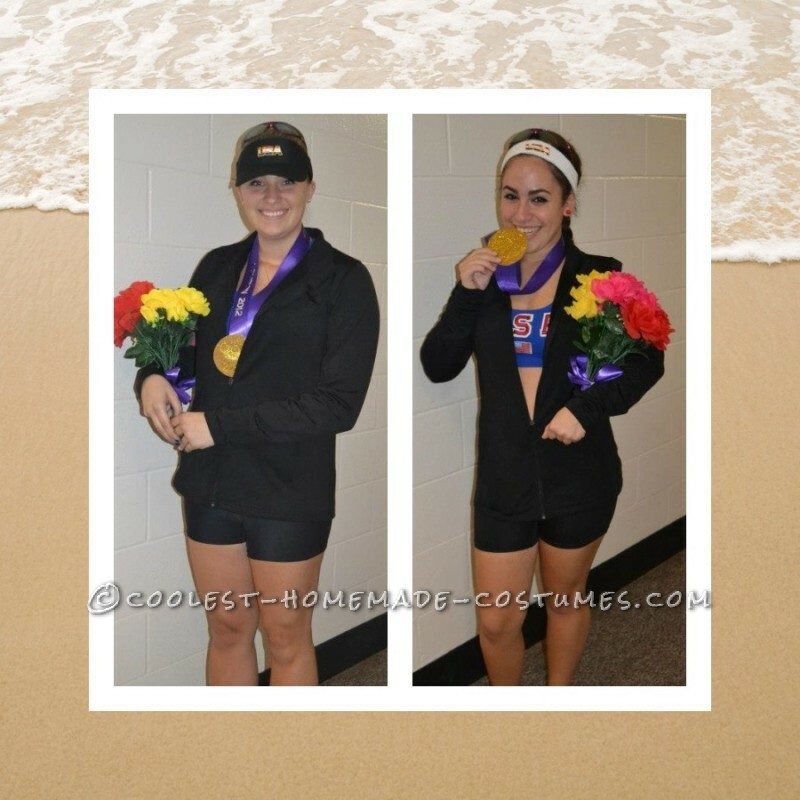 We got countless comments on our outfits and when we posted on twitter Kerri Walsh retweeted us twice! (we freaked out probably as much as they did when they won gold). This was a great costume and it wasn’t too hard !